No team has more home wins than the Indiana Pacers, and no team has fewer road wins than the Cleveland Cavaliers. So a meeting in Indianapolis certainly seems to favor the Pacers, not to mention the Cavaliers have been awful there in recent years. Plus, Indiana has been dominating opponents lately and Cleveland has been in a slump heading into these teams’ matchup Tuesday night. Indiana shares the league’s best home record with Oklahoma City at 14-1 and is within a half-game of the Thunder for the top overall record. Cleveland is tied with Philadelphia for the worst road record at 2-13 and enters this game having lost seven straight at Indianapolis, averaging 87.3 points on 38.9 percent shooting. The Pacers (24-5) have been very dominant defensively there this season, surrendering an average of 84.4 points at home – 5.5 better than any other team. They’re outscoring opponents by 14.3 per game at Bankers Life Fieldhouse. Their only home loss took place Dec. 16, 101-96 to Detroit, and they lost 97-94 in Miami two nights later. Since then, Indiana has won four in a row by an average of 22.7 points. A key to the Pacers’ success is that they are unselfish. They had at least 28 assists for the third time in four games Saturday as all five starters scored in double figures in a 105-91 win over visiting Brooklyn. 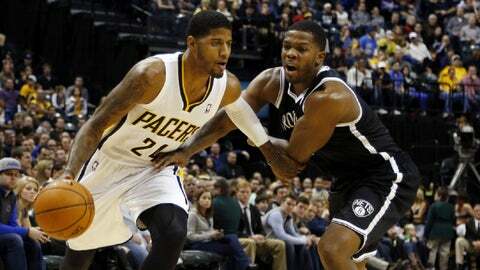 Paul George led the way with 24 points, Lance Stephenson added 23 with nine rebounds and George Hill scored 21. "It’s actually fun playing with each other, knowing that nobody cares who’s scoring the most points," said Stephenson, who scored a career-high 26 in the team’s previous game. "We’re just playing together and making smart plays to get each other open." Stephenson had a game-high 22 points in an 89-74 home win over the Cavaliers on Nov. 2 in the only matchup this season. Cleveland shot 3 of 15 from 3-point range, still its worst performance of the season, en route to its 13th loss in the past 14 meetings. The Cavaliers (10-20) have lost five straight overall, though the last three have been decided by a total of nine points. They lost in double overtime to Atlanta on Thursday, by three in Boston two nights later and 108-104 in overtime to Golden State on Sunday. 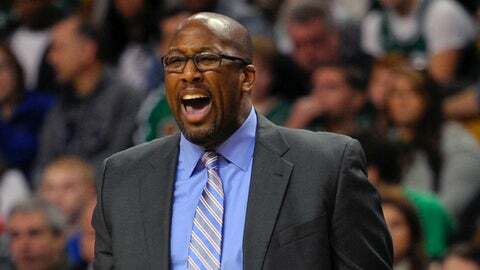 "We feel like we’re right there," coach Mike Brown said. "All of these experiences are great for us to go through. You just hope you can come out on the winning end in most of them, but I gotta give our guys credit because they’re competing. They are competing. I just gotta try to help them at the end of games, too." Among the issues for the Cavaliers is that a consistent second scorer has not emerged behind Kyrie Irving, who has averaged 28.5 points over the last 10 games. Neither Dion Waiters nor Tristan Thompson have seen their averages increase much over last season. Waiters has failed to reach double figures in four of his 10 games this month, and Thompson has not scored more than 10 in eight of his last 17. While Waiters was held to eight points on 3-of-15 shooting Sunday, Thompson had 17 points and 12 rebounds but scored only two in the game’s final 11 minutes. "The last couple games, we’ve been in close games where it’s a toss-up whether we win or lose," Thompson said. "It’s been two points or three points, so we’re getting close, but we obviously want to win now. "We have another opportunity against Indiana."